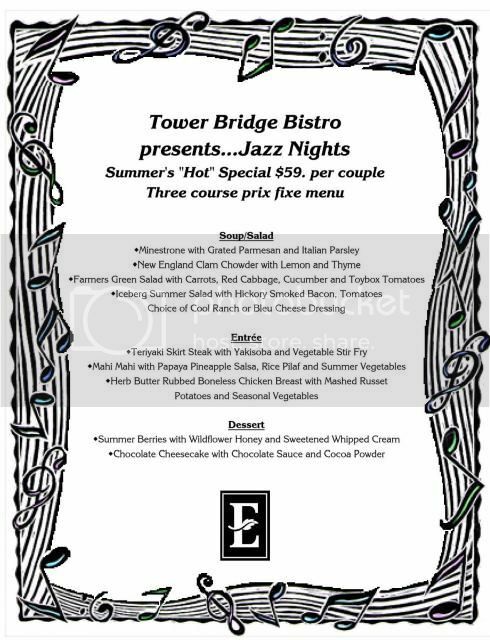 Jazz Nights at the Tower Bridge Bistro in Sacramento starts tonight! Super fun, great food and great music. Every Friday night - come on down! Is the music performed in the restaurant or out on the patio?